When it comes to general dentistry, few procedures get more complex and technically demanding that root canal therapy (endodontic treatment). It is no wonder that patients are sometimes overwhelmed by the information overload they are given at each appointment. Here is some useful information regarding root canal therapy and why it is performed so regularly. When we recommend that a tooth undergoes root canal therapy, you can generally assume that this means the tooth in question is worth your time saving (instead of extracting). Unless it is grossly decayed, it is always better to have natural tooth in the mouth than one that is replaced by a bridge, denture or even a dental implant. Performing root canal therapy on a tooth can prolong its life and maintain a sufficient degree of function in up to 99% of cases. So why isn’t this 100%? Root canal therapy for all its merits still inevitably comes with risks, regardless of patient characteristics. The number one reason why root-treated teeth fail is not due to poor operator skill, but because of root fracture either during or after the procedure. When a tooth is root canal treated, the pulp which supplies the tooth with nutrients and fluid is removed. As a result, the remaining root becomes brittle and susceptible to fracture. IF the root fractures, the prognosis is poor and it is possible the tooth will require extraction. Any root-treated tooth must never be used in strong contact with adjacent teeth, even with a protective filling on top. Generally, the gold standard course of care recommended to root-treated teeth is place a crown on top of it, granting the tooth extra protection from biting forces. Because of the unpredictability and microorganisms in the root canal system and the inability to visibly see the bacteria in these microscopic reservoirs, it is impossible to clinically confirm whether our antimicrobial irrigants have successfully done their job (often this can only be observed years down the track). As a result, root canal therapy usually is done in multiple appointments to give the dentist and his/her tools the best chance to remove all the bacteria present. 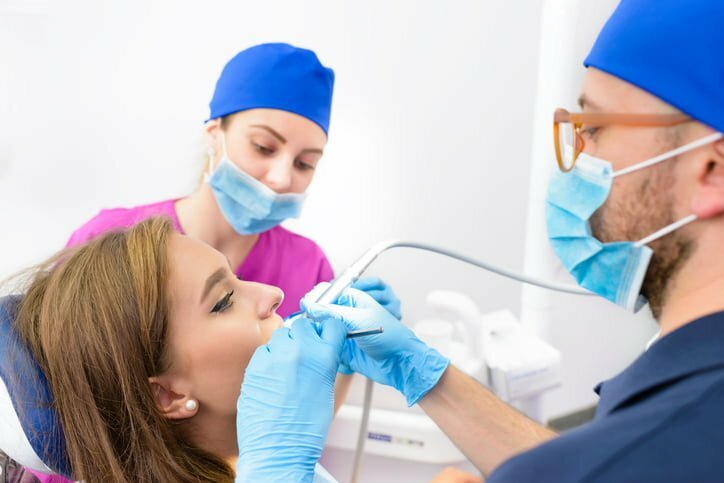 While you may be out of pain straight after the first appointment, it is imperative that you come to the subsequent appointments to finish off the root canal therapy. By delaying or even not attending subsequent endodontic appointments, you may be giving any residual bacteria time to gain resistance to antimicrobials and time to repopulate the root canal system, resulting in a worse prognosis.